The first step in custom pool construction is a meeting with one of our pool design technicians. 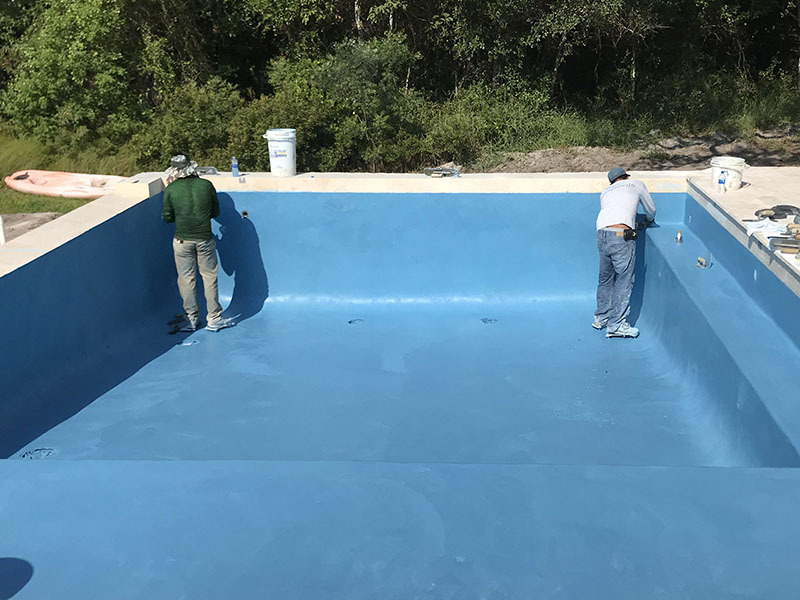 The technician will thoroughly review the pool building process, and ask a number of questions to learn what it is you are looking for in your new pool. A detailed survey of the proposed area will then be taken to include home and lot dimensions, positioning, setback, utilities location, and accessibility to the construction site. With all of this information in hand, the technician will prepare a complete plan, along with a Pool Studio 3D rendering of your new pool for you to review. If satisfactory, you will be presented with a contract. 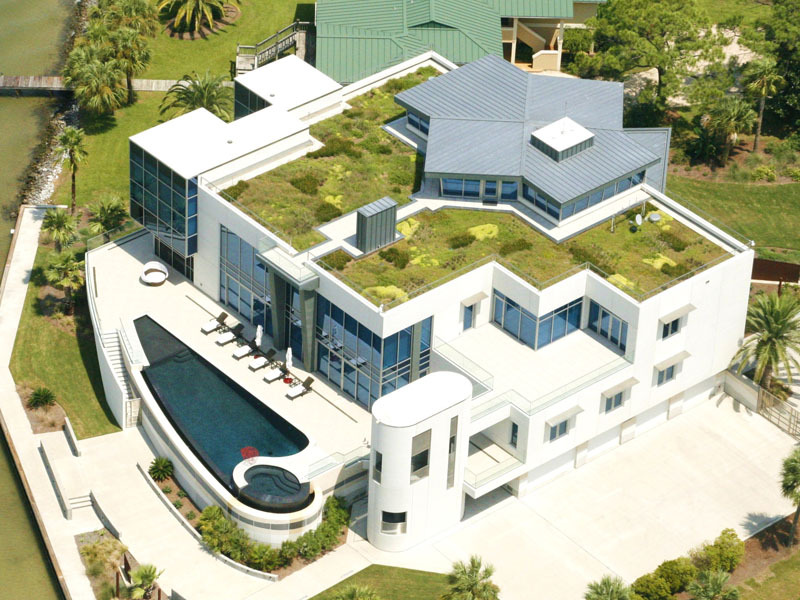 As with any construction, permitting is required to ensure everything meets state and local building codes. 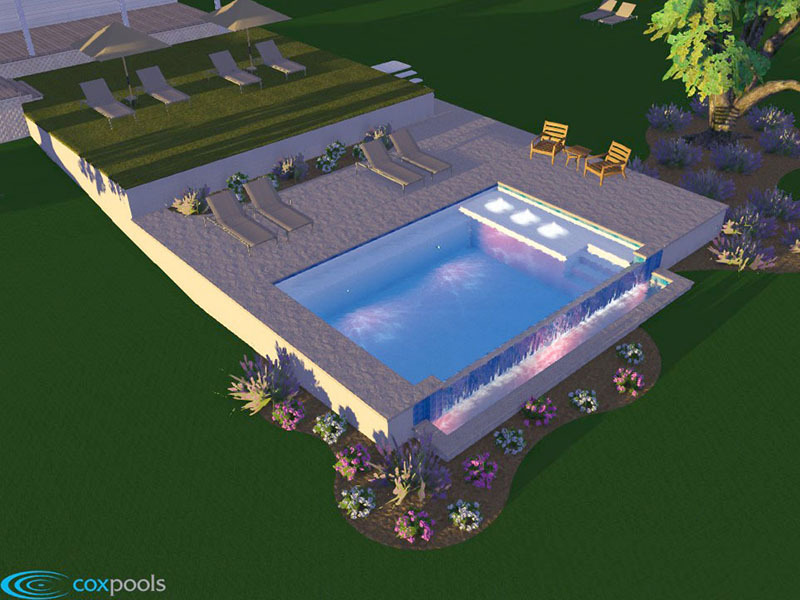 Cox Pools will take care of all permitting required for the construction of your pool. We will also call to have all utility providers to mark the location of any utility lines before beginning. This is when you finally get an idea of what your pool is going to look like. 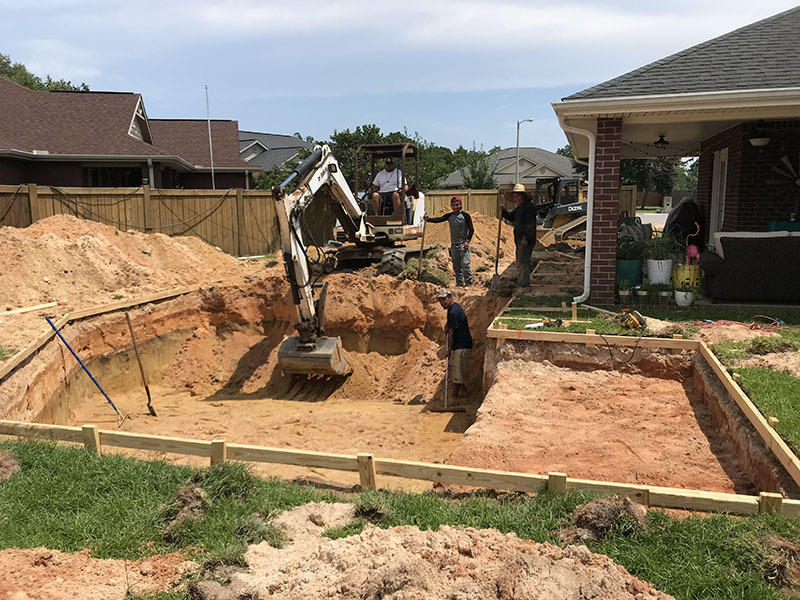 After the design and permitting processes are complete, A Cox Pools crew will “stake out” the shape of the pool to provide the excavators an outline to follow when digging. You will then be able to review layout and shape to ensure you are getting exactly what you want in shape and positioning. Now the messy part begins! 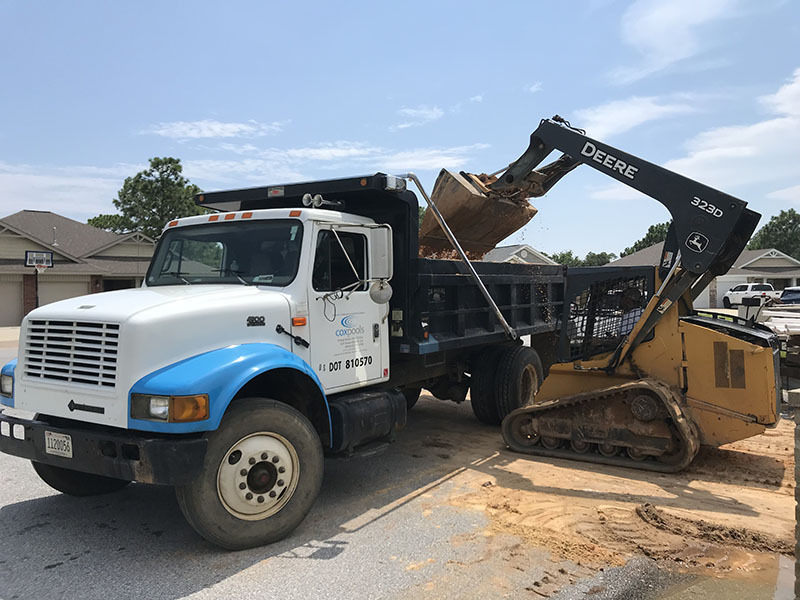 This is the most difficult part of the process for some homeowners to watch – your beautiful back yard being dug up and dirt flying everywhere. Now is the time to go back and take a look at that beautiful 3D rendering and imagine what it will look like when finished! 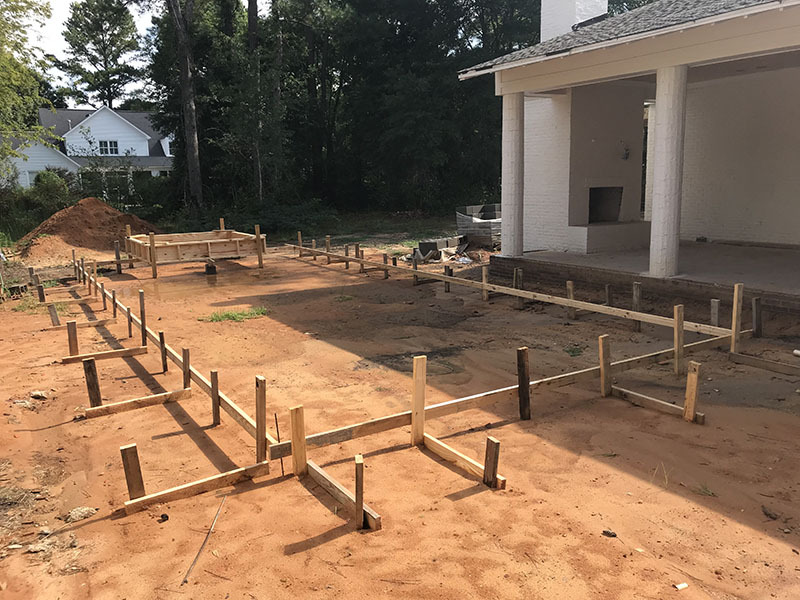 Cox Pools crew members will rough excavate the pool shape and depth with heavy equipment, then walls and floor will be refined and perfectly shape by hand with shovels. 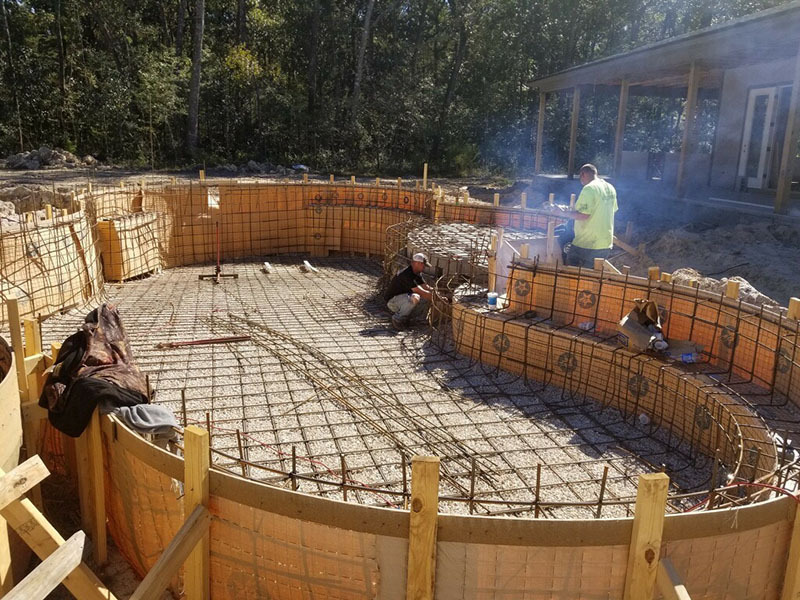 Once the pool shape has been fully defined, high-grade steel rebar is installed to reinforce the pool walls and floor. This structural steel will add strength to the concrete and help prevent any future shifting or cracking. Once the steel is in place, rough plumbing or “stub out” begins. Cox Pools ONLY uses high-grade NSF (National Sanitation Foundation) approved “Schedule 40” PVC pipe designed to prevent leaks or deterioration. 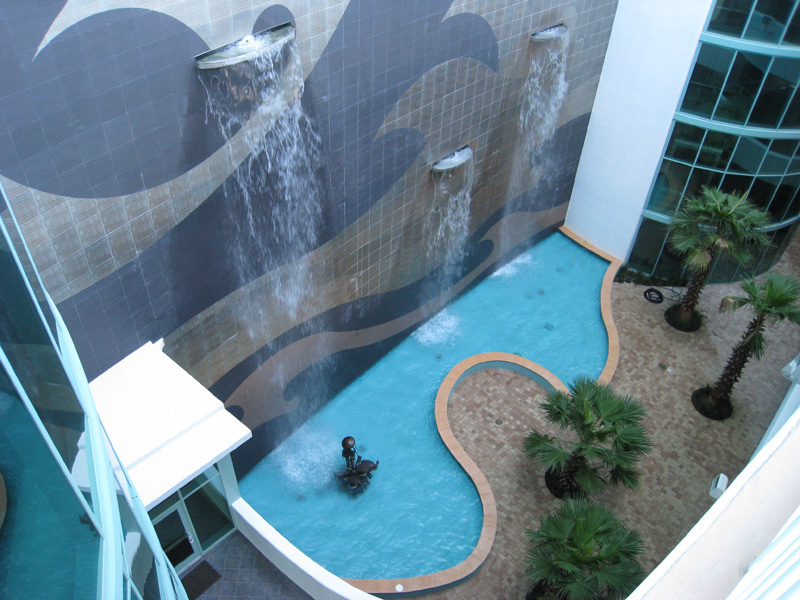 Main drains, skimmers, light niches, return lines and any needed plumbing for spas are installed. We will now pressure test the rough plumbing by installing a pressure gauge at the equipment location. We will then pressurize all plumbing to check for leaks. If no leaks are found many other pool builders will then de-pressurize the lines and remove gauging. 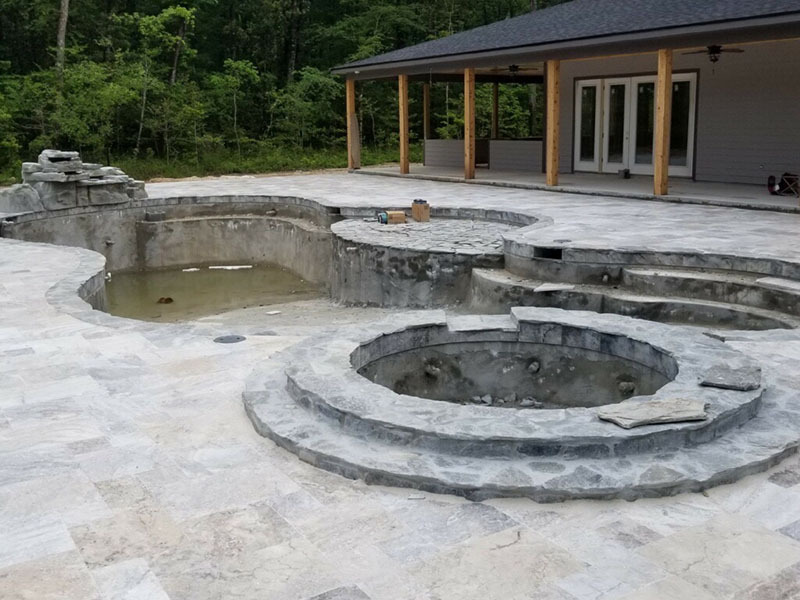 Cox Pools leaves all lines pressurized throughout the building process to ensure any inadvertent leaks or very slow leaks are discovered prior to finishing your pool. What is gunite? Basically it is concrete shot out of a hose under high pressure to help compact it and make sure it gets into every nook and cranny. 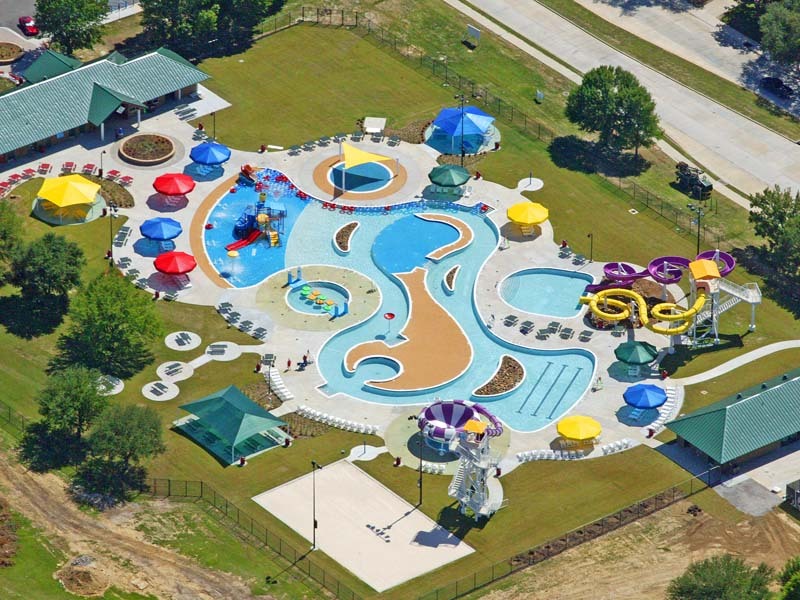 Cox Pools has its own pumping equipment and uses its own highly-trained crew to apply a 4,000 PSI gunite reinforced with fiberglass fibers. 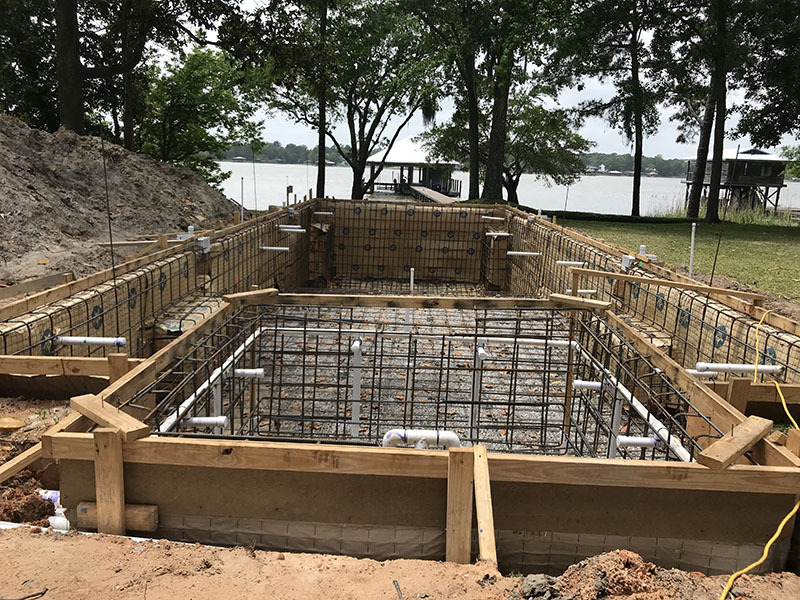 We apply a generous minimum 6” wall and floor thickness with a 10” bond beam (top lip) to ensure your pool is going to be here for many years to come. 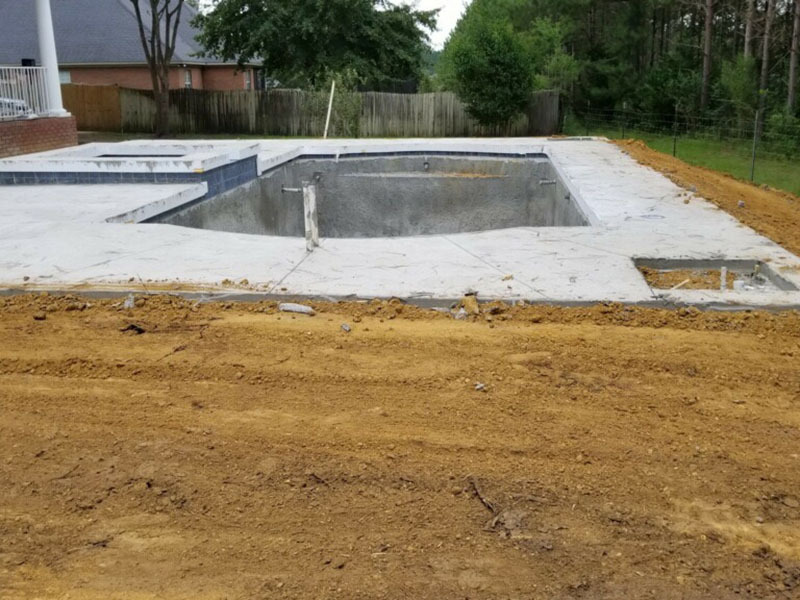 Once the gunite has stabilized, all forms will be removed, the pool shell will be backfilled and compacted, and the pool area will be graded for proper drainage. All surfaces will then be thoroughly washed down. Waterline tile chosen during the design phase will then be installed, and any coping (pool edge) finishes will be applied. 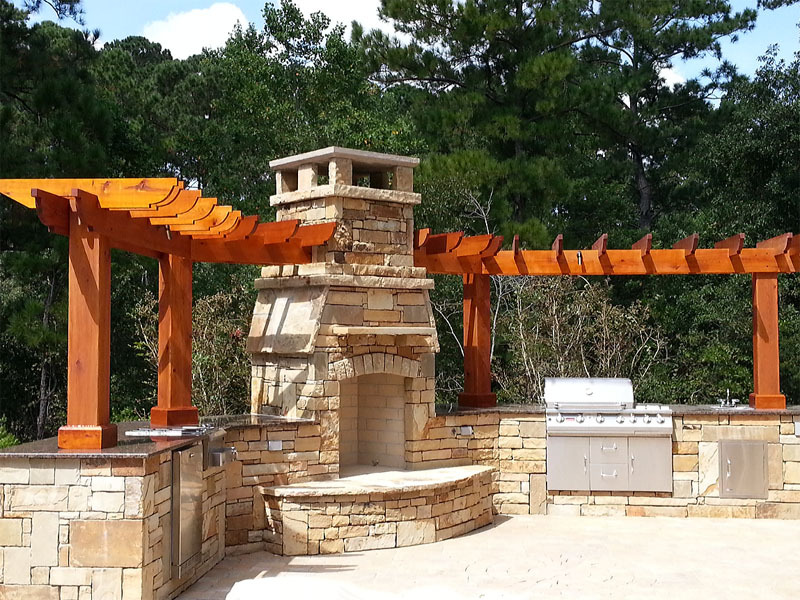 If your design includes picturesque rocks, a rock waterfall or other natural features, these will also be installed. This is an exciting phase because you will start seeing the true beauty of your new pool! It’s time to install the decking around your new pool. There are a variety of decking choices and depending upon the type you chose during the design phase – concrete, natural stone, pavers, etc. – a Cox Pools crew will form the deck area and install according to the materials chosen. 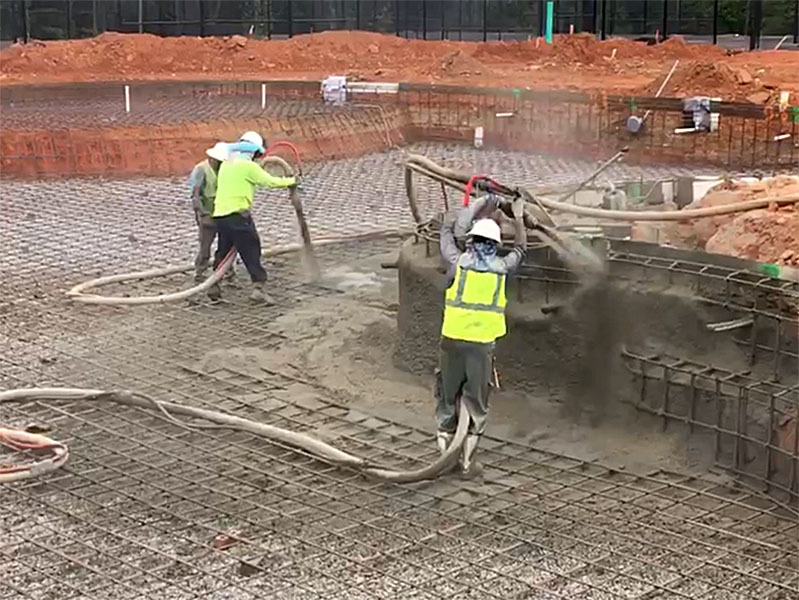 A concrete equipment pad will be hand-formed and poured to ensure stability (other pool builders may use a preformed pad that could slip and move). 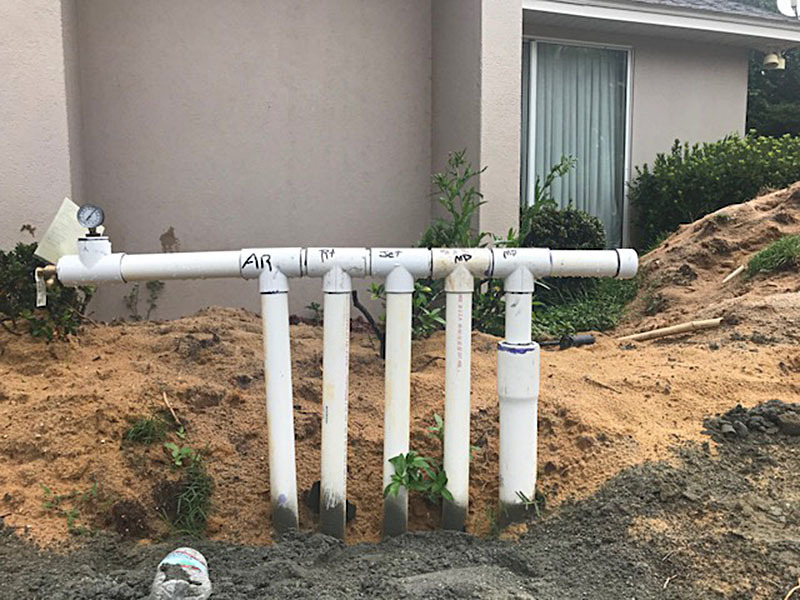 All pool equipment will then be installed and connected to rough plumbing and utilities. 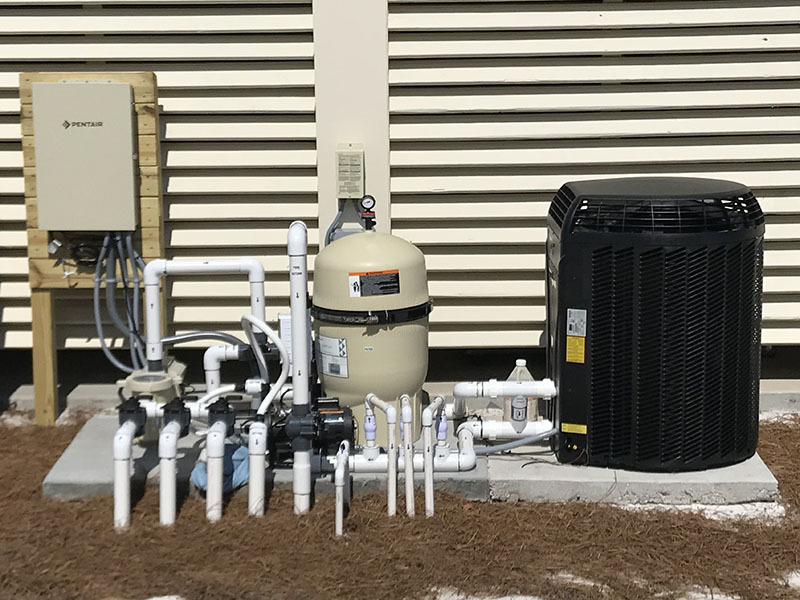 Cox Pools is proud of the fact that we have been aggressive in providing eco-friendly, energy-saving options in our pool designs, including LED lighting, high efficiency water pumps, and innovative heat pumps for all-season pool temperatures. We have also been offering saltwater options for many years. 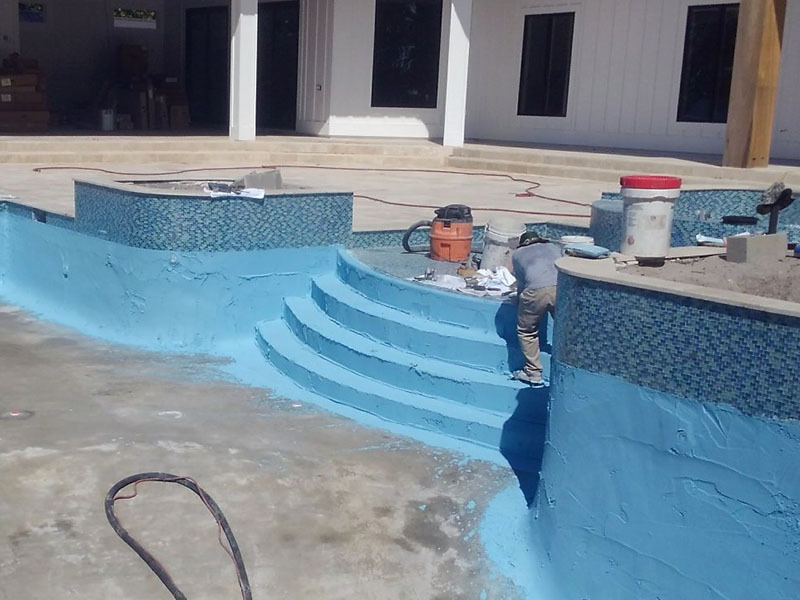 Plaster is now hand-applied on the pool walls and floors by our highly-skilled plaster crew. When finished, all plaster surfaces will be 3/8” – ½” thick. There are a variety of plaster color finishes available ranging from a dark “lagoon” look to the traditional bright and cheery blue. Our design technician will review all possibilities with you during the design phase. 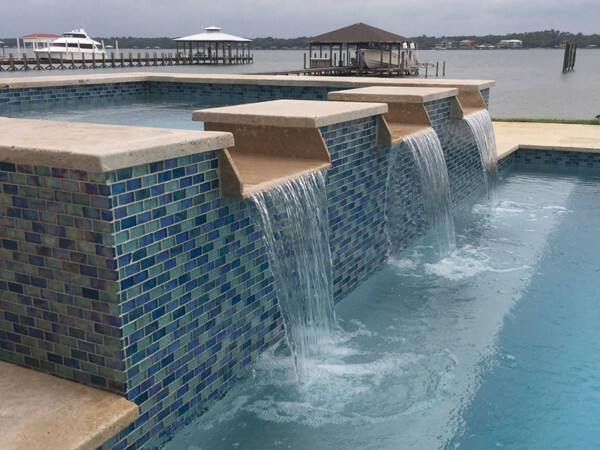 Once the plaster has cured, your new pool will be filled and everything will be tested and adjusted so all equipment and accessories are performing perfectly. 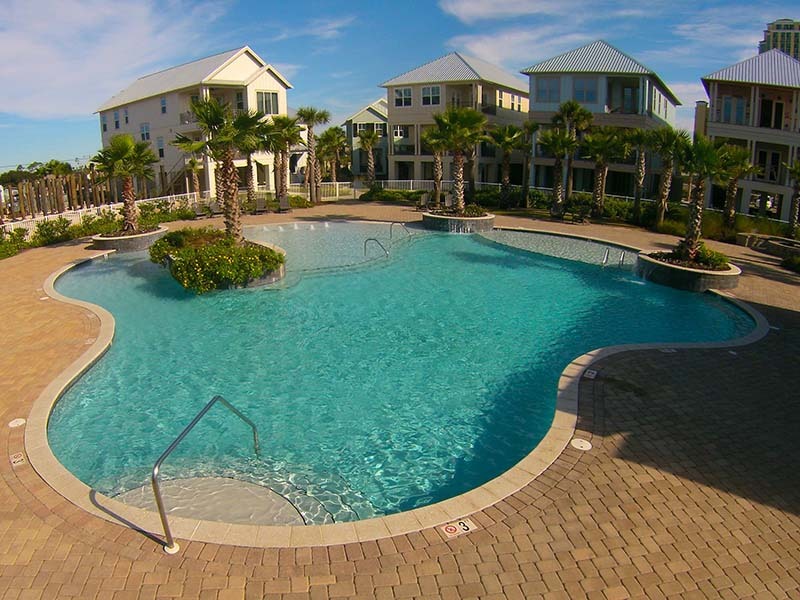 You will then be trained on all the pool functions and maintenance operations. Don’t worry! You will be provided with a comprehensive “Cox Pools User Manual” filled with equipment manuals and warranty information, and remember we are always just a phone call away. Isn’t that what this is all about? 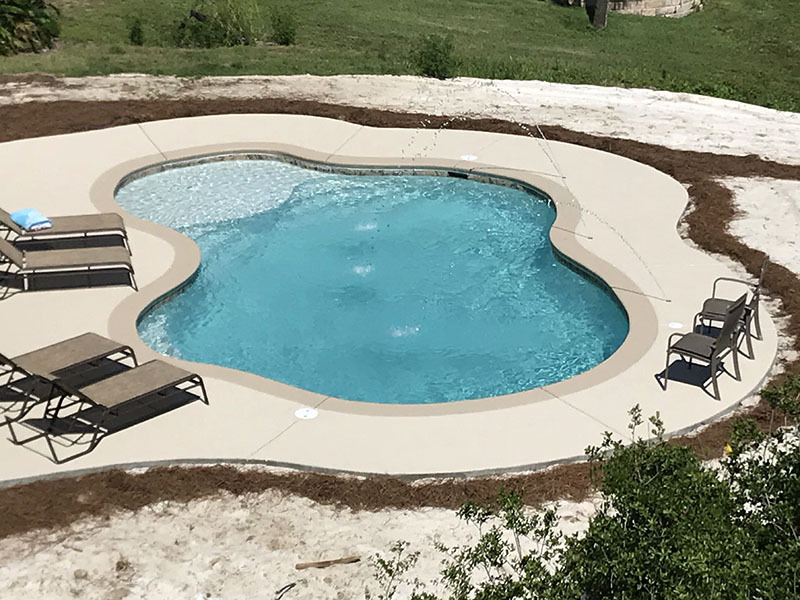 Once our crews and equipment are out of the way and your landscapers have provided all final landscaping, it’s time to enjoy your beautiful new backyard oasis! 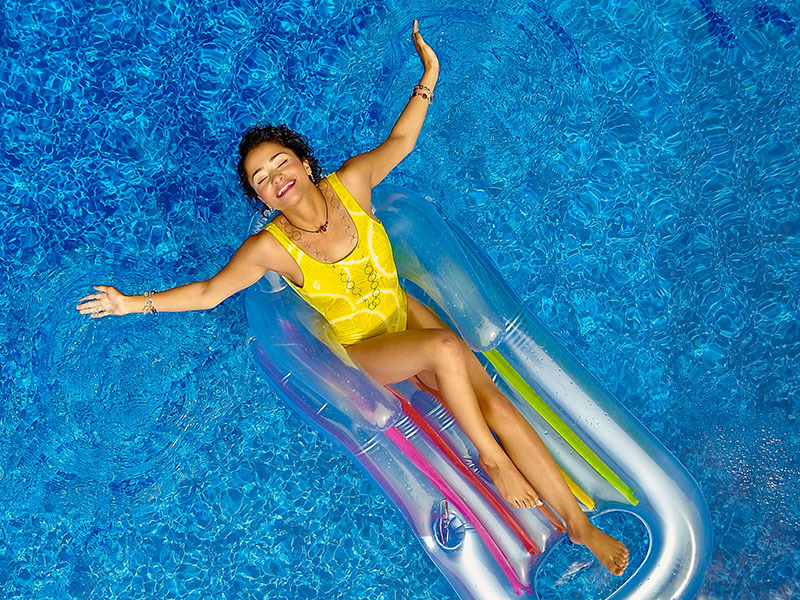 All of us at Cox Pools realize that building a pool can be an anxious experience and we promise to try and make it as painless as possible!